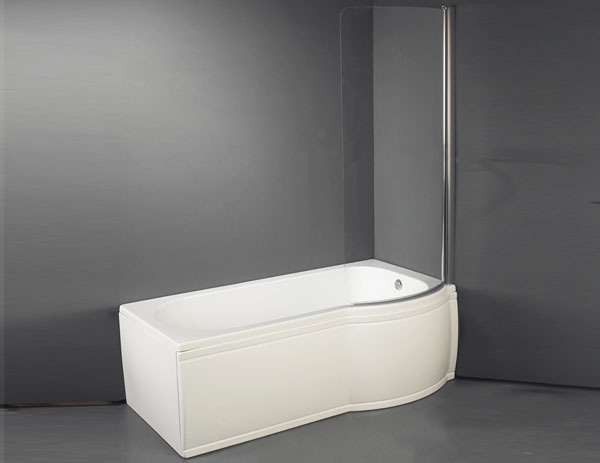 Synergy Zeya P Shaped Shower Bath - Only £169.99! In stock now for just £169.99 including VAT! Hurry while stocks last! 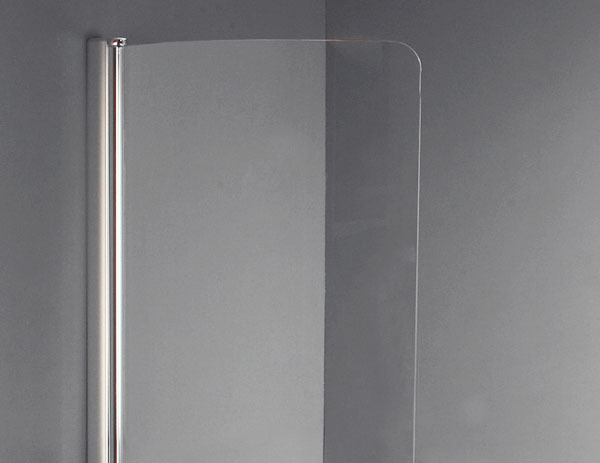 The Zeya P Shaped Shower Bath from Synergy perfectly suits and accommodates the modern home. With its fresh and vibrant look it is designed and looks a class above the competition. This bath prides itself on its timeless but yet modern look and this is shown by being extremely popular within the VIP range. Available at a highly competitive price and with an outstanding build quality as standard, it is easy to see why this is a hugely popular item with our customers. The Zeya Shower-Bath Is Renowned For Strength, Comfort And Value. 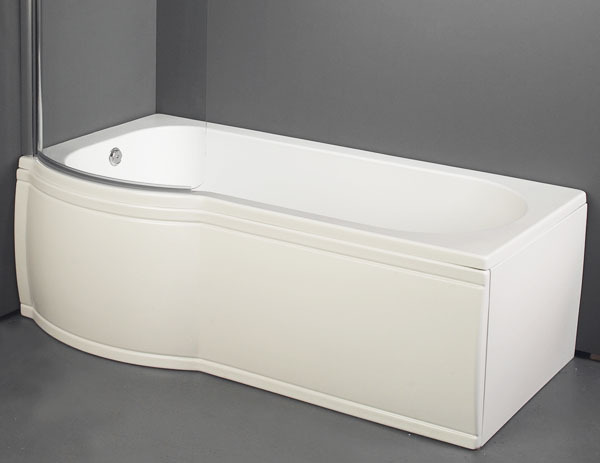 This outstanding P shaped bath is designed and manufactured for extra room - this allows extra space for those long relaxing soaks, letting you really kick back. Its shape and design also allow extra space for showering and movement around the shower, maximising comfort. The Zeya bath is recognised as being first class at retaining heat which is vital and saves the constant topping up issues. It also offers superb strength and is known for being very sturdy and long lasting - this is thanks to the high quality of the manufacturing and the quality instilled throughout. The bath comes undrilled allowing you to the freedom of fitting it to your perfection and by positioning the taps in a place that suit you best. Available in three sizes, two orientations, two types of finish, and with or without various panels and the pictured screen, this excellent Zeya shower bath is designed to be as flexible as possible, letting you customise the bath to your own requirements. All this, plus the highly competitive price, makes this the ideal choice for any bathroom renovation. 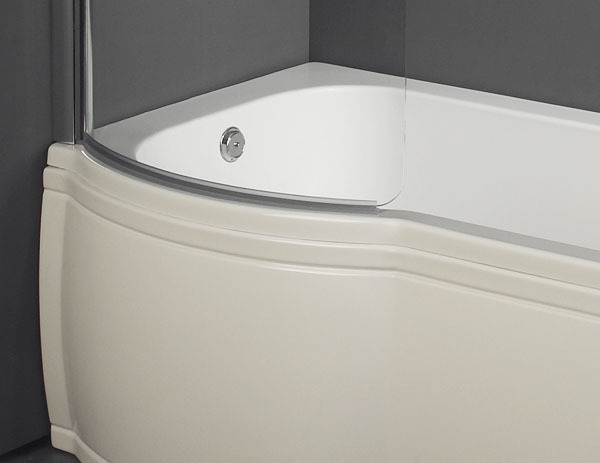 This bath is also available in a choice of three sizes, in Left or Right hand orientation, with a choice of Standard or Premier Finish (also selectable via the drop-down menu below).